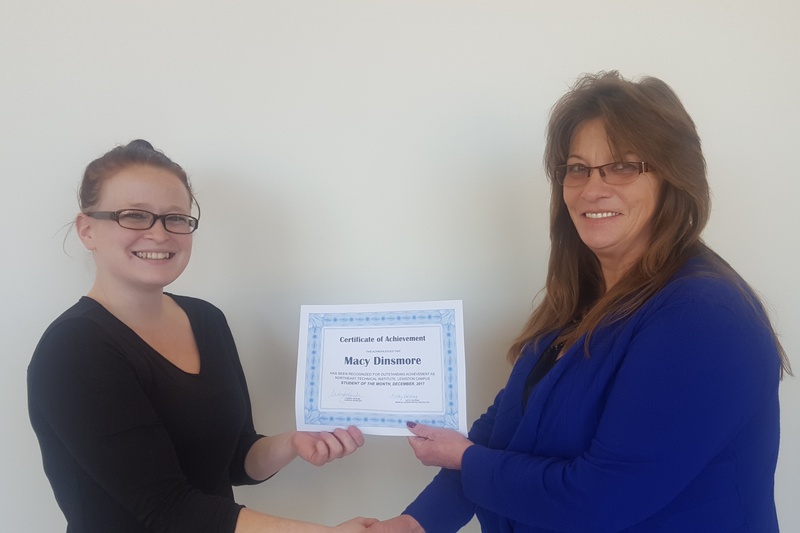 Congratulations to our December Student of the Month in Lewiston, Macy Dinsmore! Macy’s commitment and dedication throughout her program has been and continues to be excellent. She has a sunny personality, and even when circumstances get tough, she always seems to find the bright side to everything. It is not uncommon to see her helping a struggling classmate. Macy’s core values, professionalism, knowledge, and skills are those that we want representing Northeast Technical Institute in the medical field! Keep up the great work, Macy!